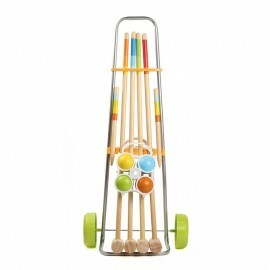 This wooden croquet set for 4 players will be delivered with a metal trolley to facilitate the transport. 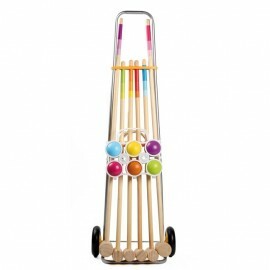 This outdoor game is ideal to spend the afternoon with the family or friends. 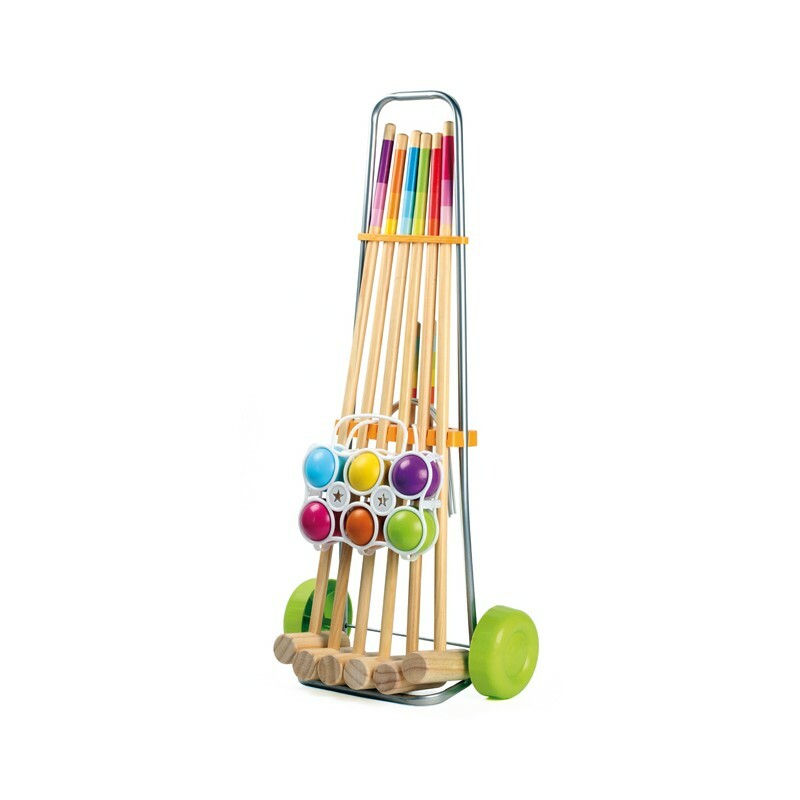 The set includes 4 wooden mallets, 4 colourful balls, 2 poles and 6 metal hoops. 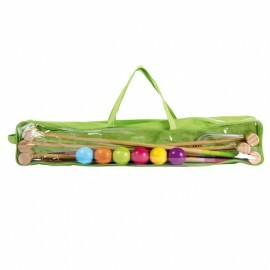 This croquet set enhances the dexterity and precision. 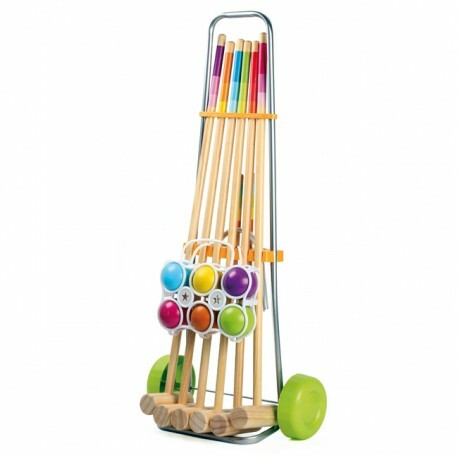 The material is of a long-lasting and solid quality.